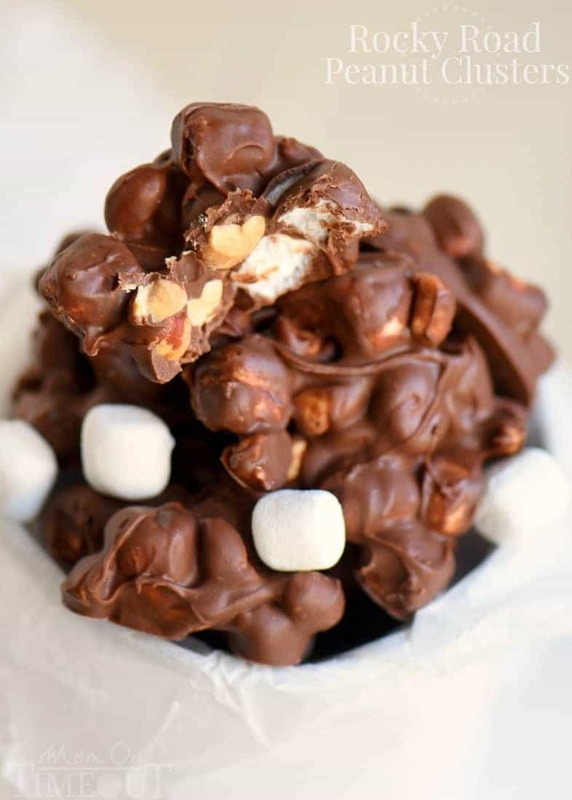 Rocky Road Peanut Clusters are made in the microwave and use only FIVE ingredients. A simple, delicious, easy candy recipe that everyone will enjoy! Melt chocolate chips, butterscotch chips and vegetable oil together in a large microwave-safe container. I used a Pyrex glass measuring cup. Heat on high for 30 seconds, stir, repeat, until chips are melted and smooth. Quickly stir in the peanuts and marshmallows. Drop spoonfuls of the mixture onto the waxed paper. You can make them as large or as small as you like. Let set up in the refrigerator for 15 minutes before packing. Store leftovers (ha!) in an airtight container. 0 Response to "ROCKY ROAD PEANUT CLUSTERS"